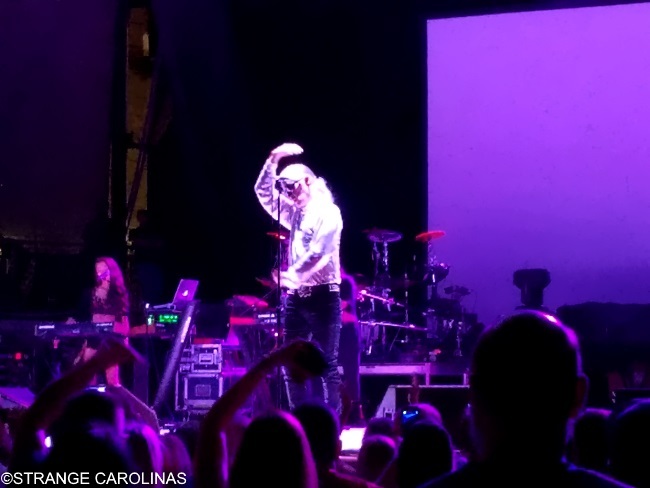 Saturday night saw the Retro Futura Tour pull into Charlotte Metro Credit Union Amphitheater for a night of '80s hits and fun and the show didn't disappoint! If you live in or near a town the tour will be playing this summer, we highly recommend going! 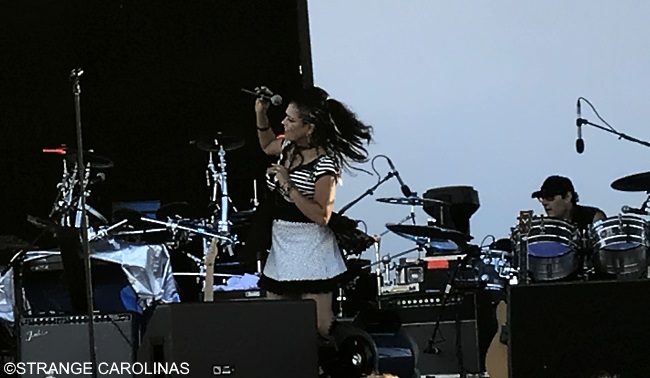 Paul Young was originally scheduled to appear, but due to scheduling conflicts, Bow Wow Wow's Annabella Lwin filled in for him and kicked off the show with an energetic set. She was a whirling, twirling ball of energy on the stage and got the crowd up and moving. The only disappointment? We didn't get to hear "C30 C60 C90 GO!," our favorite song by the band. 4. "Do You Wanna Hold Me?" 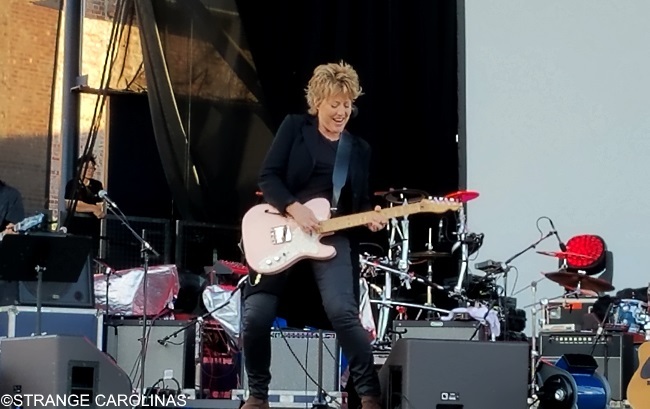 Katrina Leskanich, the former lead singer of Katrina & The Waves, was next. 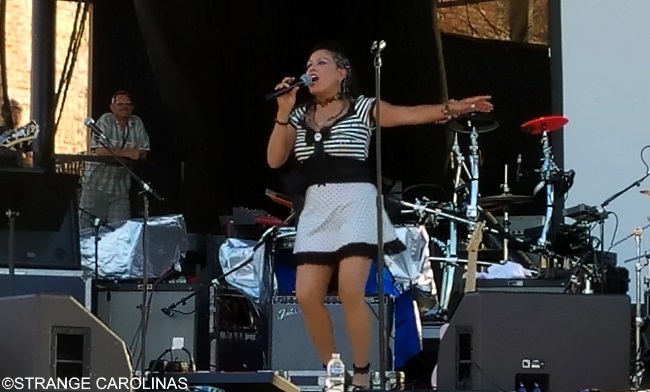 She played the 2014 Retro Futura Tour and it was the first time she played America in twenty years. She must've had a great time, because she came back and wowed the crowd on Saturday night! We were psyched to hear "Going Down To Liverpool," a song that she wrote that became a hit for The Bangles. 1. "Rock 'N' Roll Girl"
2. "Going Down To Liverpool"
3. "Do You Want Crying?" 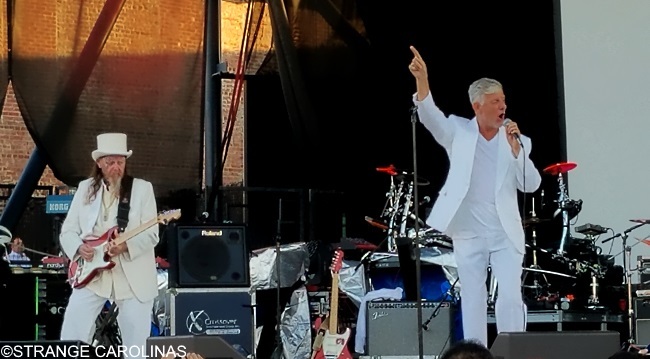 Modern English hit the stage after Katrina and blew away the crowd. Lead singer Robbie Grey was dancing, goofing off, and funny as hell. And oh yeah, the music was spot-on and had the crowd moving and singing along, especially for finale "I Melt With You." 4. "Hands Across The Sea"
The English Beat hit the stage as the sun was setting on Charlotte. Truth be told, the English Beat were my favorite act of the night. They had the crowd jumping and singing along with their infectious set. 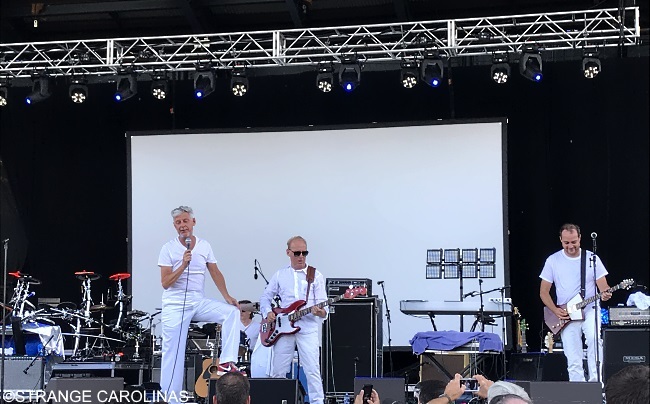 Singer Dave Wakeling plowed through the seven-song set while King Schascha worked the crowd (and even came out into the audience after the show). They had several girls from the audience join them on the cover-but-not-really-a-cover of "Tenderness" and Modern English's Robbie Grey even popped up to join them for a song. 2. "Mirror In The Bathroom"
3. "Whine & Grine / Stand Down Margaret"
5. "Save It For Later"
7. "The Love You Give"
Men Without Hats was the bridge between The English Beat and Howard Jones. Singer Ivan Doroschuk spent most of the show bouncing around on the stage, popping imaginary bubbles. 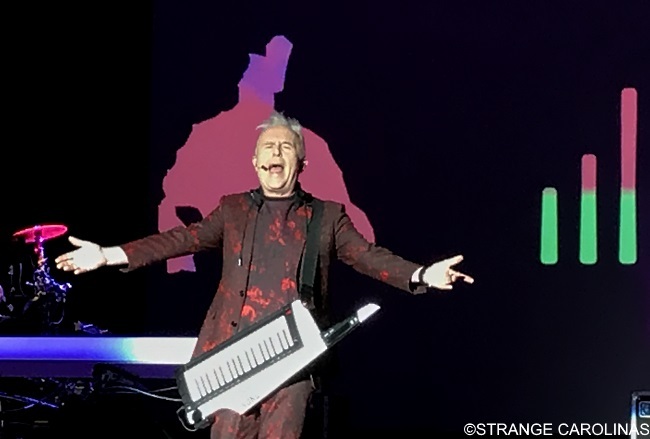 He announced "Pop Goes The World" by telling the crowd the song was written the same year his touring keyboardist was born. The highlight of his set was a cover of ABBA's "S.O.S.," but we could've done without the second helping of "Safety Dance." 3. "I Got The Message"
4. "Pop Goes The World"
6. "Where Do The Boys Go?" Howard Jones hit the stage around 10:00 PM and the audience was ready! The band was tight and the two drummers gave the sound a depth you could feel in your chest. 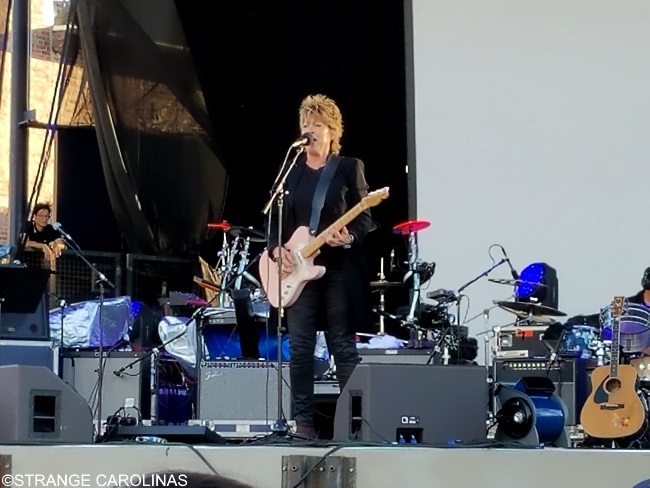 Howard played ten songs of heavy hits, with only one post-80s track, "Collective Heartbeat." The crowd sang along to all the songs and Howard often let the crowd take the lead. We wished he could've found a way to sneak "Specialty" and especially "Hide And Seek" in the set list, but when you only have an hour to play and a ton of hits to choose from, you can't play everyone's favorites. 1. "Like To Get To Know You Well"
3. "You Know I Love You, Don't You?" 5. "No One Is To Blame"
7. "Life In One Day"
10. "Things Can Only Get Better"
Want to check out the Retro Futura Tour? 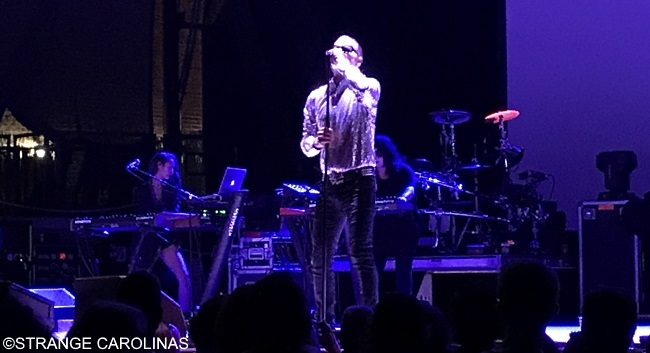 You can find upcoming tour dates here.